L iving in Japan, we continuously review lodging opportunities and select those that offer the best guest experience for the best value. 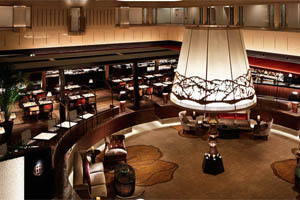 Has a favorite hotel scheduled renovation this Spring? Keeping up with lodging options helps ensure that your dream vacation includes a good nights sleep. While updated regularly, below are some of the hotels and lodging in Japan that we use in our tours. We have decades of experience in Japan, where living, working and playing has given us inside knowledge and connections. 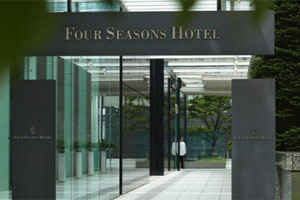 Four Seasons Hotel Maranouchi (Tokyo) – This refined luxury hotel near Ginza practically guarantees personal service, and in Four Seasons style, the expert staff pampers guests without being cloying. Every room has a view, but the best accommodations are those that overlook the city’s main train station – and the sleek and shiny bullet trains. The décor is contemporary minimalist throughout, accented with dramatic Oriental flower arrangements and a mix of sumptuous fabrics. 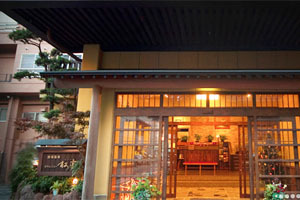 Myojinkan Ryokan – Set on wooded grounds, this tranquil hot-spring hotel is 14 km from Matsumoto Castle. 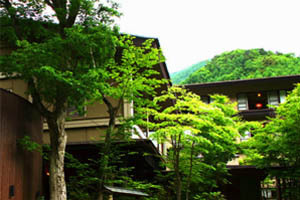 Tobira Onsen Myojinkan offers a divinely serene atmosphere in the forest, relaxing baths in the heart of nature, aromatherapy and superb rooms and suites. The sophisticated Kaiseki-style food is a marvelous balance of textures, flavors and colors. Organic French cuisine is also on offer, prepared by a talented chef who specializes in macrobiotic cuisine. Hyatt Regency Kyoto – Elegant and fabulously located directly across street from the redone national museum, adjacent to two temples, and nestled in the foothills of the World-Heritage site studded Eastern Mountains, it provides a fantastic blend of tranquility and modernity with a fantastic sake bar in basement for those so inclined. Capitol Tokyu Hotel Tokyo – This hidden gem is nestled against the Hie Shrine, a short walk from the Diet Building, 15 minutes from the Imperial Palace, and an even shorter walk to the bustling and vibrant Akasaka neighborhood of central Tokyo. Elegant and understated yet completely modern with Japanese aesthetics throughout, it is a fantastic location from which to explore Tokyo. 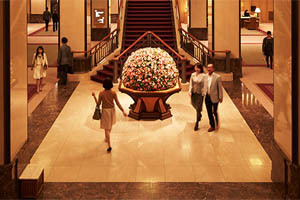 Imperial Hotel Tokyo – With its history and sense of place, nestled between Ginza and the Imperial Palace, this is a fantastic place to end the trip, where you can relax and bask in the history, luxury and style of this grand old hotel. 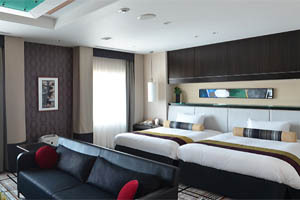 GrandVia Hiroshima – This exceptionally convenient hotel is directly connected to the Shinkansen Line’s JR Hiroshima Station. 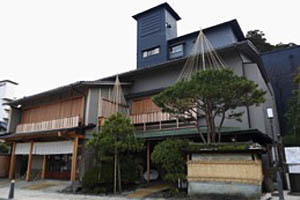 New, efficient, it is a great property from which to explore Hiroshima and Miyajima. Kurayado Iroha is located in Miyajima’s Omotesando Avenue, a 5-minute walk from Itsukushima Shinto Shrine and Miyajima Pier. The hotel offers a restaurant and its stylish Japanese-style rooms Iroha feature tatami-mat flooring and private bathrooms. The top floor indoor and outdoor public baths overlook Setonaikai Sea and the Otorii Shrine Gate. 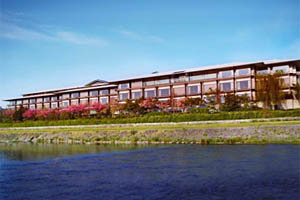 Kyoto Royal Hotel & Spa – A modern, efficient hotel that caters to both business and leisure travelers, it is located on Kyoto’s main restaurant and entertainment avenue. The hotel’s central location provides easy access to the city’s sights and boasts a turn of the century style lobby bar and the Kotoran Spa, where you can soothe your mind, body and spirit. 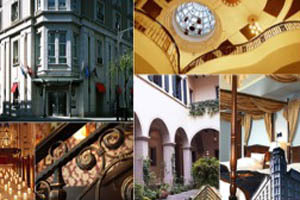 The Monterey Hotel is an efficient and pleasant accommodation. The concept for the hotel buildings has been to re-create the history of various international cities and has been recognized through various awards for design and architecture. 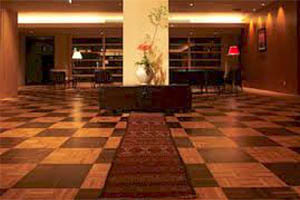 The hotel rooms offer relaxing furniture and modern amenities, while the staff are generally friendly and efficient. 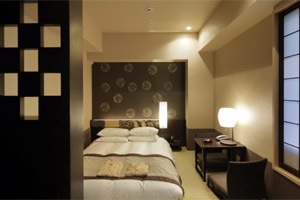 The Kyoto Century Hotel is very conveniently located 2 minutes from JR Kyoto Station. 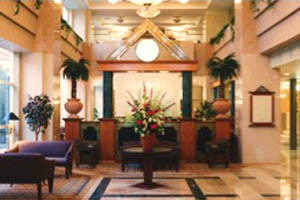 The hotel is modern and efficient with a touch of class and style. The Court Hotel Kurashiki is extremely well located, only a 5-minute walk from the famous Bikan Historical and Quarter and a 10-minute walk from JR Kurashiki Train Station. It is also only 5 minutes from the Ohara Museum. Araya Totoan is an exceptional ryokan in Yamashiro Onsen near Kanazawa. Their attention to detail and the experience of their guests and diners is legend. Having been in business for over eight hundred years, Araya has assembled an impressive collection of precious ceramics pieces and the owner visits the kitchen on a daily basis to design the menu together with the head chef and select the dishes to be presented to each individual diner. The ceramic dishes reflect seasonal and regional tastes and sensitivities, while the food itself changes in accordance with the seasons. The dishes can be interpreted as a direct expression of kindness and hospitality, which in its own way contributes to the seasonal appeal of the meal. Hotel Grand Bach Kyoto – Stylish stay in a stylish city. 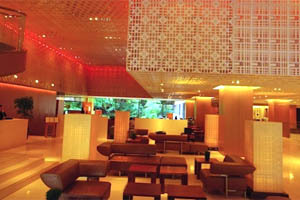 While enjoying the refined atmosphere of Kyoto, treat yourself to a relaxing and luxurious stay here. The hotel is just a five minute walk from Shijo Subway Station, and its central location makes it perfect for visiting all of the most popular destinations in Kyoto. There are a selection of beautifully designed rooms available, including traditional Japanese style rooms, and there are also large communal baths for guests to relax in. Kyoto Machiya – While we cannot guarantee availability of such accommodation, these guesthouses make a wonderful base from which to explore Kyoto. 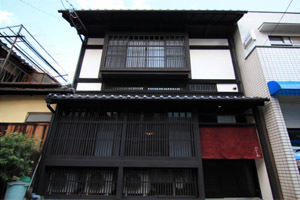 Machiya are traditional painstakingly restored townhouses, typically 2-story, which served as both residence and place of commerce for businessmen and craftsmen. Their symbolic architecture reflects the lifestyles and culture of Kyoto’s locals. 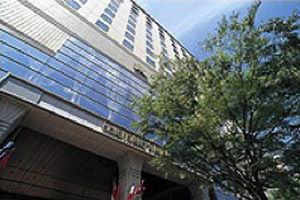 Hotel Nikko Fukuoka – Hotel Nikko Fukuoka is a top-class hotel ideally located across from Hakata Station and only 15 minutes from the Fukuoka Airport. More importantly, it is near several main Yatai areas for which Fukuoka is well known. The hotel also features attractively furnished rooms, nice facilities (including a fitness center) and solid cuisine if you tire of the yatai, all along with a service level which all but ensures guests enjoy a relaxing stay. Umikaoru Yado Hotel New Matsumi – The hotel is located in the center of Beppu city, offering convenient transportation for sightseeing. You can enjoy fine views of the Yuhuin Tsurumi mountain range and the Beppu Bay from their cypress bath. You can also enjoy local cuisine using selected materials from each city, town and village in Oita prefecture. Not to mention their fantastic onsen. Hotel Grandvrio Ishigaki – Opened in 2008, this modern luxury hotel is positioned on the south east coast of Ishigaki island offers and offers superb views of surrounding islands and is only a 10 minute drive into the main town. 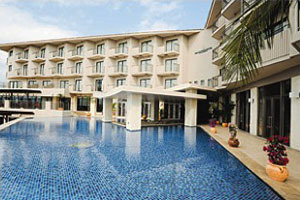 It’s facilities are truly impressive and include large indoor pool, a sauna, an onsen-style bath and hot-stone beds. 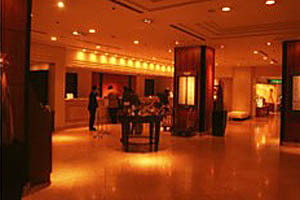 In addition various spa treatments are available in its ‘Ryukyu Resort Spa’. It is an ideal base for a stay in Ishigaki, including those few days when the Okinawan weather might not cooperate. All the guides chosen for us were exceptional and matched us perfectly! It made the trip truly unique and uniquely wonderful. I didn't want to return home. The itinerary covered all bases and gave us a thorough experience of a beautiful country.